HMRC have published a policy paper and consultation document about the proposed 2020 IR35 reforms. These reforms will affect users and suppliers of personal service company contractors in private and public sector situations. Start date The government is still aiming to implement on 6 April 2020. Existing IR35 regime will be the template The regime will largely be modelled on the public sector IR35 regime and the government says that people “should therefore familiarise themselves” with that regime. Who is liable if the IR35 tax and NICs are not paid? The basic position will still be that the entity towards the bottom of the contract chain which pays the PSC (the so-called “Fee Payer”) will be liable in most situations. However there are very significant proposed changes. Broadly, the first key development is that whoever did not do what they should have (make an IR35 status determination/pass on that determination/make the payment) will be liable. The current end user “get out” from liability for wrong determinations (provided they took “reasonable care”) seems to be ending. The second key development is that even if the end user does everything right, but its supply chain then fails to pay the IR35 tax and NICs, liability will transfer up to the chain to the staffing company which has the contract with the end user (“Intermediary 1”) in much the same way as in the agency workers tax legislation. The key difference is that the government proposes that liability would then transfer to the end user in a situation where HMRC could not recover from Intermediary 1. In other words HMRC will, where an intermediary becomes insolvent, have the right to transfer tax debt up the supply chain until they find someone who can pay. HMRC drily make the point that end users should in future manage risk by choosing “to only work with reputable and compliant firms”. 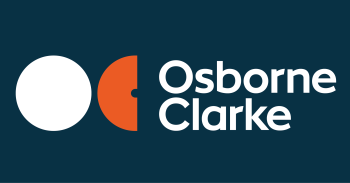 Osborne Clarke comment: this will be good news for compliant suppliers. End users will now have skin in the game. If they are sensible, they will cease to appoint suppliers based just on cost (many cost savings historically having been driven by non-compliance which the end user could afford to ignore). This means that end users (and MSPs) will take a lot more interest in the compliance of their supply chain and we may see substantial consolidation of supply chains. Same regime for public and private sectors There will be the same regime for public and private sector supplies – some of the new regime will effectively change the current public sector regime. Small company exemption It is still proposed that there will be an exemption for supplies into small companies (broadly speaking the Companies Act definition of small companies will be used, meaning that an end user will be “small” if, at the start of the relevant accounting period, turnover is not more than £10.2M, balance sheet is not more than £5.1M and it has not more than 50 employees). There will be special rules for working out whether non-corporate entities are “small”. Public sector entities will never be deemed small. Anti-avoidance measures will be in place to prevent end users routing PSC supplies via small associated companies. Osborne Clarke comment: small consultancies using a statement of work model may be able to on-supply PSCs without the new regime applying (and instead PSC contractors will have to self-determine). Information to workers about determinations There will be some form of obligation on intermediaries to cascade down the contract chain any decisions and reasons relating to IR35 determinations made by the end user, and the worker may be entitled to ask the end user direct for the assessment and reasons. This addresses an information gap which some have considered unfair in the current public sector regime (under which reasons given to an MSP provider do not currently have to be passed down). Worker right to challenge the determination? There are no firm proposals about this – the document suggests that the worker will have a right to have his/her evidence “considered” by the end user. There is however no hint of what the worker’s remedy is if the determination is still wrong. Osborne Clarke comment: will some end users therefore be able to continue to blanket assess inside? If end users face increased risk of tax debt transfer liability, it’s likely that they will be more inclined to issue “inside” assessments so it will be important to see how any workers’ right to challenge determinations will actually work. “Contracted out” services The document confirms that where an end user receives “contracted out” services (and not labour supply) that service will not be subject to the regime. Effectively, this means that the regime will only supply to entities in a supply chain involving labour supply. Osborne Clarke comment: this confirmation is good news for suppliers of “genuine” statement of work-style services. But they will need to be “genuine” – merely labelling something as statement of work will not work. Time for comment? The consultation closes on 28 May, following which draft legislation will be published in the summer for further consultation later in the year.